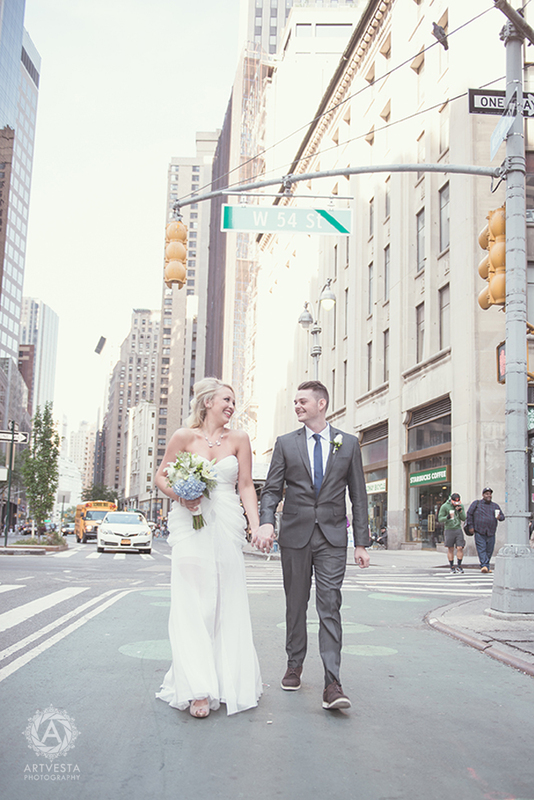 This wedding was very New York City and so much fun! The 3 Monkeys, a spacious and charming, gastro-style craft pub with a lounge-y feel hosted this intimate afternoon wedding. Who said that a wedding needs to be fancy? Great friends, great beer, great city — the combination of the three is a great recipe for unforgivable memories!